The biggest lie we are told as kids is that we can be whatever we want when we grow up. Teachers and counselors tell us if we work hard and get good grades then the sky is the limit. This is just not true. As a kid, I wanted to be a fireman. My uncle was a fireman and I got to visit the firehouse. For me it was the coolest job. However, I was born with a medical condition that doesn’t allow me to sweat and am very sensitive to heat. Being a fireman would probably kill me before I even got to put out a fire. Thus, I learned at a very early age that no matter how hard I tried I wouldn’t be able to be what I wanted when I was an adult. Medical issues aren’t the only hurdles we face growing up. Not all of us will be great athletes or doctors or even president of the United States. Most of us will have regular jobs and that is okay. What we should be telling our kids is that you can’t be whatever you want to be when you grow up but you can be great at whatever you do. Almost every job I have had I have been able to be promoted by being great at the position I was hired in to do. My first job out of high school was as a cashier for a grocery store. Within 2 years I was a shift supervisor. After that I worked at a warehouse stocking shelves and filling orders. Within 2 years there I was promoted to work in there import department and a year after that I was managing the import schedule. My current employer hired me as a dispatcher and now I am the Operations Manager. My mentality into taking on a new position is to be great at it. Not only great but be the best and by doing so, doors will open for me. I refuse to fail and even when something doesn’t work out, I still use it as a lesson on how to improve myself. We are more the sum of our parts. Do not let the idea of having to work in a field you may not be thrilled about stop you from being great at that job. Make it the job you want and you will be rewarded. Jack Holmes is the Operations Manager at Global Transport. 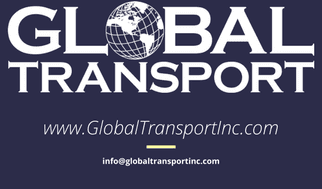 He has been in the freight industry for over 15 years, covering all aspects of transportation from importing to freight brokerage.